Today we have new images of Daniel Craig & Rooney Mara from David Fincher's The Girl with the Dragon Tattoo. The images come from EW (via The Film Stage). As part of EW's fall preview issue, the magazine has unveiled some new photos which are not yet online. Hit the jump to check them out. Updated: Clearer images. 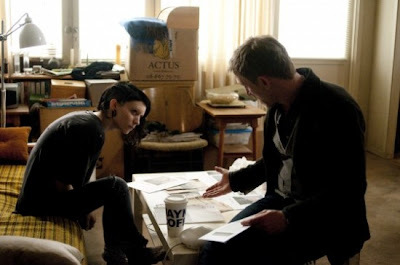 I'm reading: New Images of Daniel Craig & Rooney Mara in David Fincher's 'THE GIRL WITH THE DRAGON TATTOO'Tweet this!